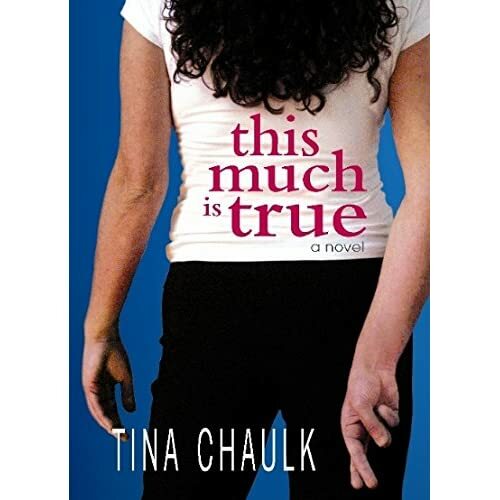 Tina Chaulk has cleverly or inadvertently bought time until her second book is published before anyone can decide whether or not she is any good. You see, the writing comes across at first as a little amateurish. However, this might be a stroke of genius. The protagonist, Lisa Simms, has just moved to Toronto from Newfoundland in order to find work. She's relatively young and inexperienced with the world off the island. That's where Chaulk's style comes into play. Even if her own inexperience as an author shines through, it fits. Written in the first person, the "haven't-done-this-before" feel is befitting of her central character. So maybe it was intentional, maybe not. In either case, we'll just have to wait until her second novel to see if Chaulk can muster up a new trick. Small bone of contention; the lack of a defined audience. I'm a little unclear as to who (or is that whom?) was expected to read this book: Newfoundlanders? Mainlanders? or Both? I'd be okay had any of these groups been chosen, but there's a few inconsistencies. In one paragraph she mentions drinking Newfoundland Screech and goes on to define it as "a fine rum named for our home and made in Jamaica." Clearly, in this case, non-Newfoundlanders are targeted. (Anyone from here wouldn't need the clarification.) Yet in the same paragraph she mentions capelin and doesn't define them at all. From the context, you can gather that it's a food, but she never comes out and says it's a fish. Plus there's a few more references to Newfoundlandia as well that are not elaborated on. The Screech definition seems out of place. But this is all minor. I am enjoying the book a lot. Most of the Newfoundland books I've read involve characters that live and work in the province. I like that she's chosen to have her central character leave for employment. It's such a common experience for so many of us (self-included) that it's about time someone has picked it up for a novel (sorry if there are other such books that I am unaware of). There's a particularly sad line in the book that unfortunately nails how many feel when they first leave the province and find themselves in big cities such as Toronto; "Welcome to the real world, Lisa." It's particularly tragic because of the word "real". It's as if the slower paced life in Newfoundland is somehow less authentic. It's a great line though. It says so much about Lisa's mindset and indeed, the mindset of many Newfoundlanders away from home for the first time. I'm also enjoying the "little white lie" theme. A tagline on the back cover asks "Is it okay to tell a lie?" and the book sets out to explore this issue. I love how chapters are set up; with introductions being letters Lisa has sent home to her mom and dad about her life away. They're perky and positive and (when you read on you discover) untrue. Her real experiences make up the bulk of the chapter, and they're full of the hardships and worries that were originally glossed over or omitted in the letters home. Why doesn't she tell the truth in these letters? In the prologue she claims it is to protect the ones she loves. However, like the letters themselves, I like to think that's only part of the story. There seems to be more revealed about Lisa in the contrasting stories than mere concern for her parents. I think the letters also represent her own hopes and insecurities. They seem to be the way she wishes things had gone. They also seem to be slight lies to herself- trying to convince herself as well, that she's doing okay, that she's not scared, and that things will work out fine, almost as if there's the belief that "the lie will set you free" rather than the original adage. There's an inner conflict going on between her optimistic side and her pessimistic side of which most of us can relate. It sounds like quite an intruiging book actually. I can picture what you mean about the naive voice. It can be a very effective tool, or simply a distraction. I think it all depends on the skill of the author. It is an intriguing concept. And after reading a few more chapters since I wrote this particular post, I think maybe "amateurish" might more adequately (and nicely) be described as "free of pretention". There's also not a lot of risk-taking, but sometimes that can be refreshing. So many authors now are jumping all over the place with point of view, chronology and so forth that it's become a little tedious (and confusing and unnecessary and...)Sometimes a straightforward story is all you want. And hey, she does have the "letters-home" thingy to set her book apart from others.